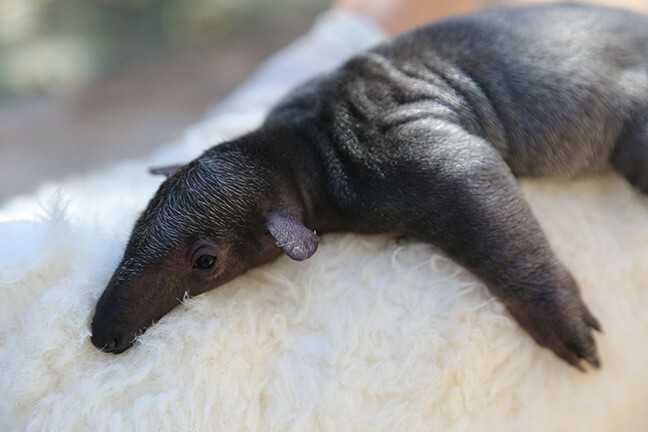 The new baby tamandua born at the Reid Park Zoo. Today the Reid Park Zoo announced there is a new baby at the zoo. The little one doesn't have a name yet, but is a male tamandua. His parents, 12-year-old Lety and 15-year-old Santiago welcomed their son on Aug. 31. 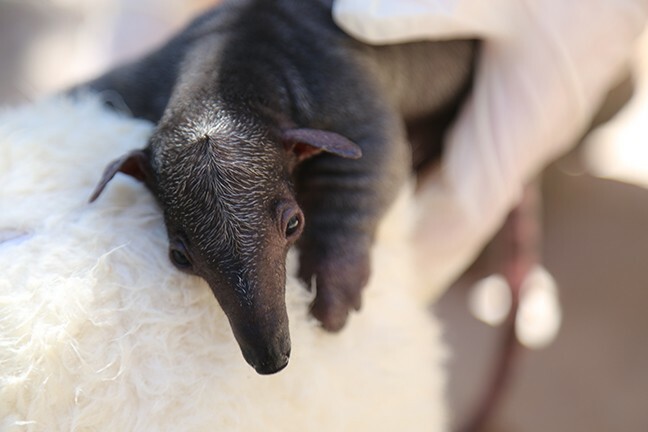 The baby weighed 420 grams (0.9 pounds), a healthy weight for baby tamanduas. The baby is not visible to the public yet and is spending important time bonding with his mom. Tamanduas are a genus of anteaters and live in a variety of habitats, ranging from gallery forests next to savannas and lowland, to mountainous tropical rainforests. They eat ants and termites and don't have any teeth. Tamanduas have a long, sticky tongue that scoops up to 9,000 ants per day! 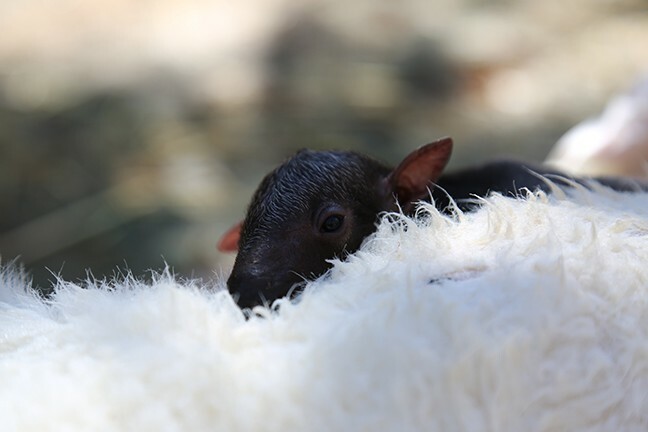 Updates about the new baby tamandua will be posted on the Reid Park Zoo Facebook page.